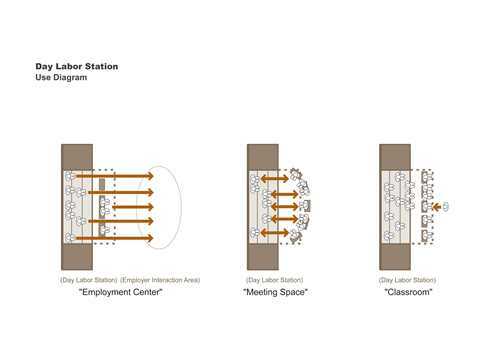 The day labor station provides a specific place for day labor gatherings and facilitates the employment process. 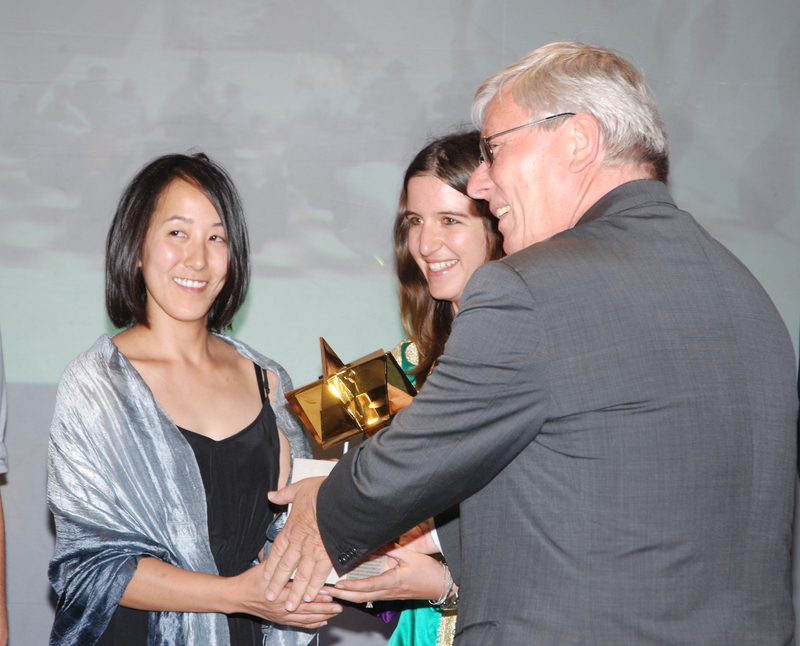 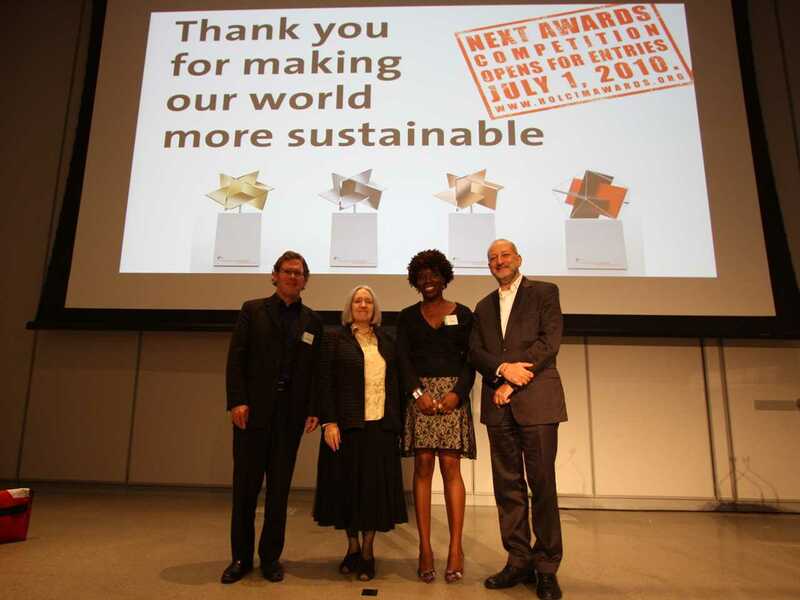 Winners of the Global Holcim Awards “Innovation” prize 2009 (l-r): John Petersen, “Innovation” prize winner, Public Architecture, San Francisco; Saskia Sassen, Robert S. Lynd Professor of Sociology, Columbia University, New York, and member of the global jury; Liz Ogbu, “Innovation” prize winner, Public Architecture, San Francisco; and Enrique Norten, Principal and founder, TEN Arquitectos , Mexico City and New York, and member of the global jury. 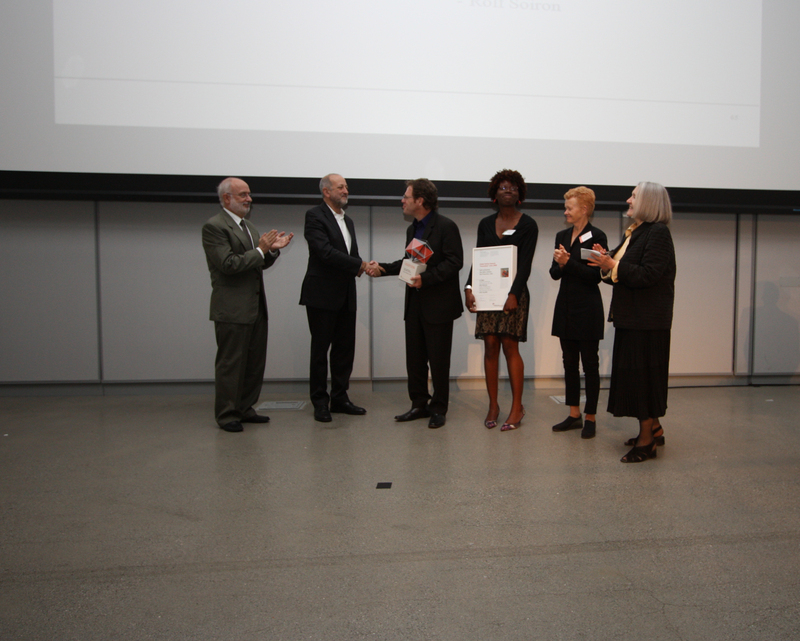 Presentation of the Global Holcim Awards “Innovation” prize 2009 (l-r): Rolf Soiron, Chairman of the Board of Directors, Holcim Ltd; Enrique Norten, Principal and founder, TEN Arquitectos and member of the global jury; John Petersen and Liz Ogbu, “Innovation” prize winners of Public Architecture in San Francisco; Sarah Graham, Principal partner, agps architecture and member of the Holcim Awards jury North America; and Saskia Sassen, Robert S. Lynd Professor of Sociology, Columbia University, New York and member of the global jury. 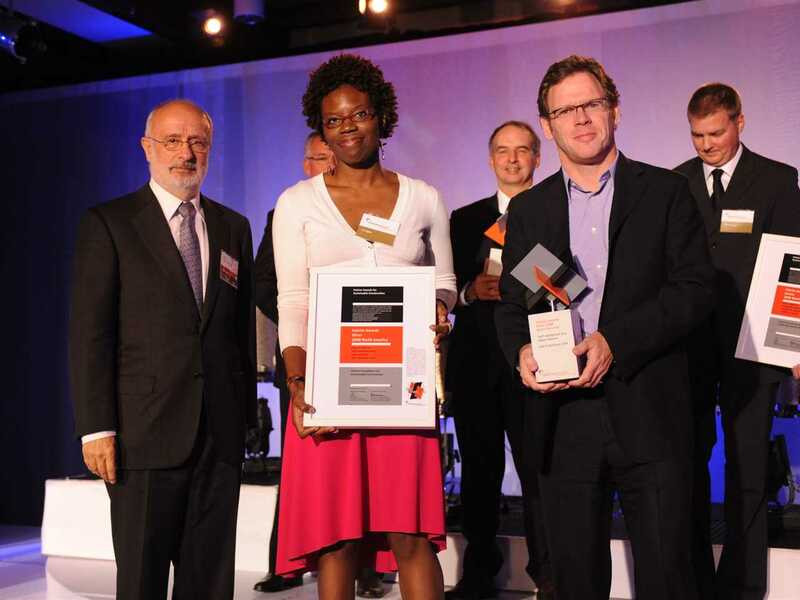 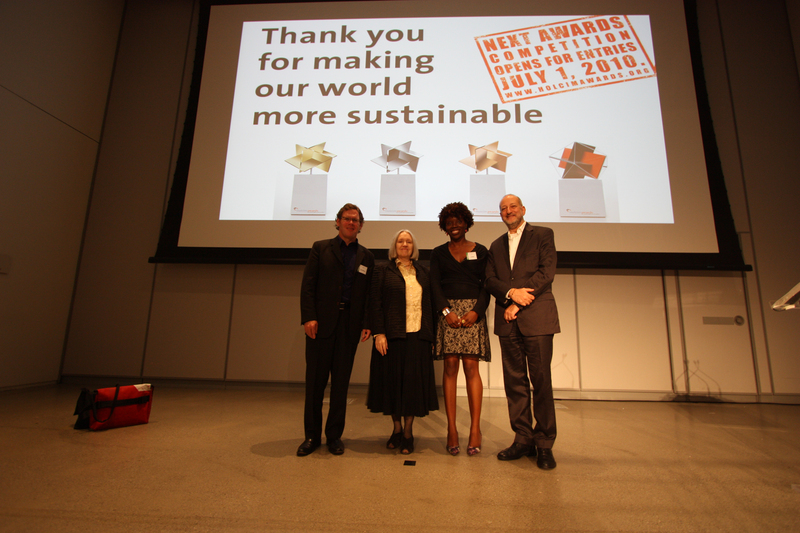 Holcim Awards Silver 2008 North America: (l-r) Rolf Soiron, Liz Ogbu, John Peterson. 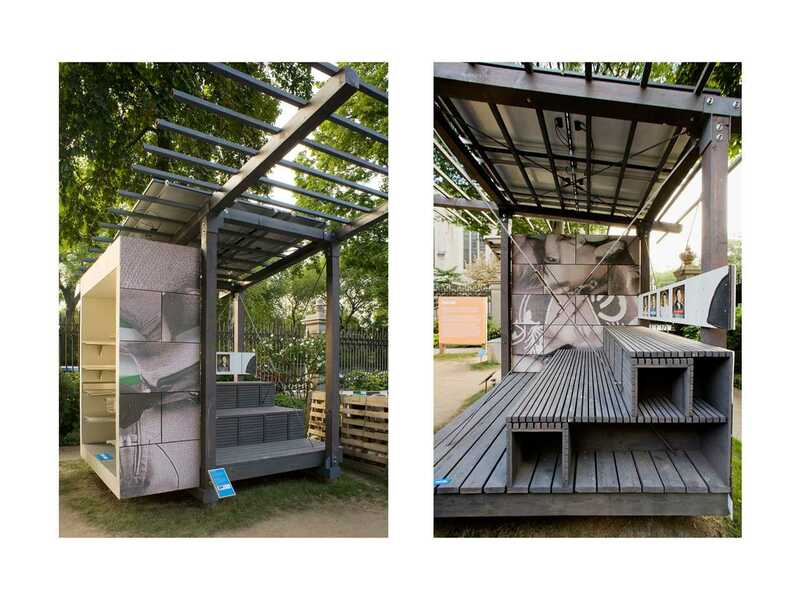 Project entry 2008 North America - "Self-contained day labor station, New York, USA": A full scale section of the day labor station exhibited at the Cooper Hewitt National Design Museum, May-Sep 2007. 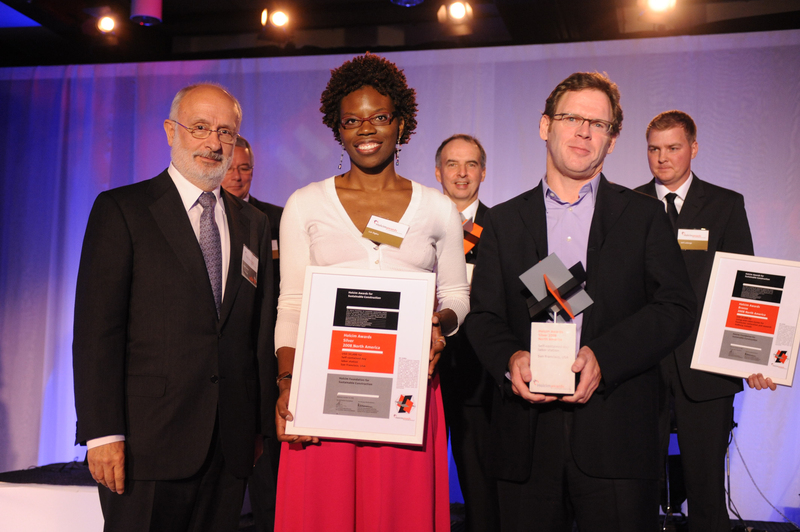 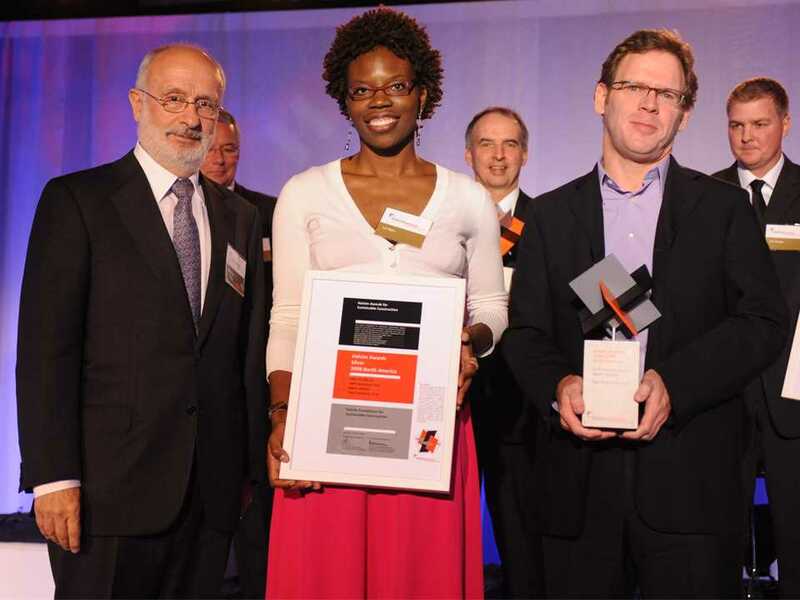 Winners of the Global Holcim Awards "Innovation" prize and the Holcim Awards Silver 2008 North America: (l-r) Liz Ogbu and John Peterson. 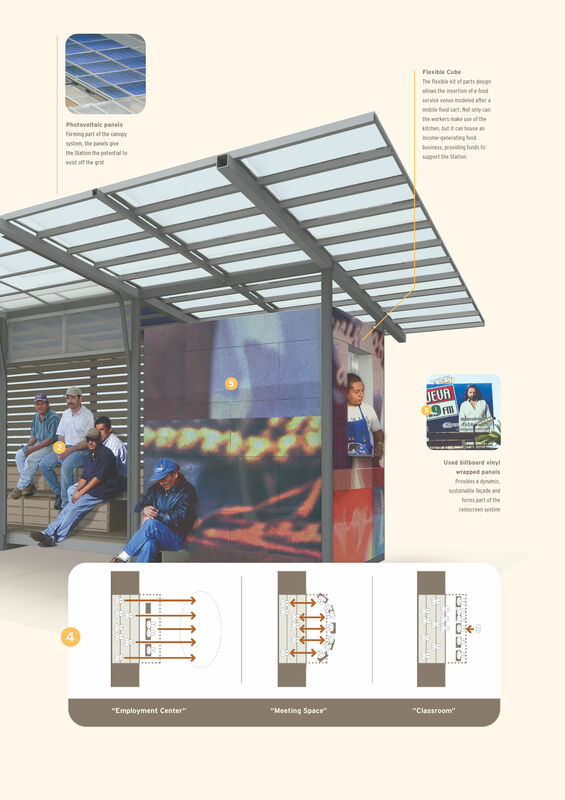 In many US cities day laborers use street corners as informal hiring sites. 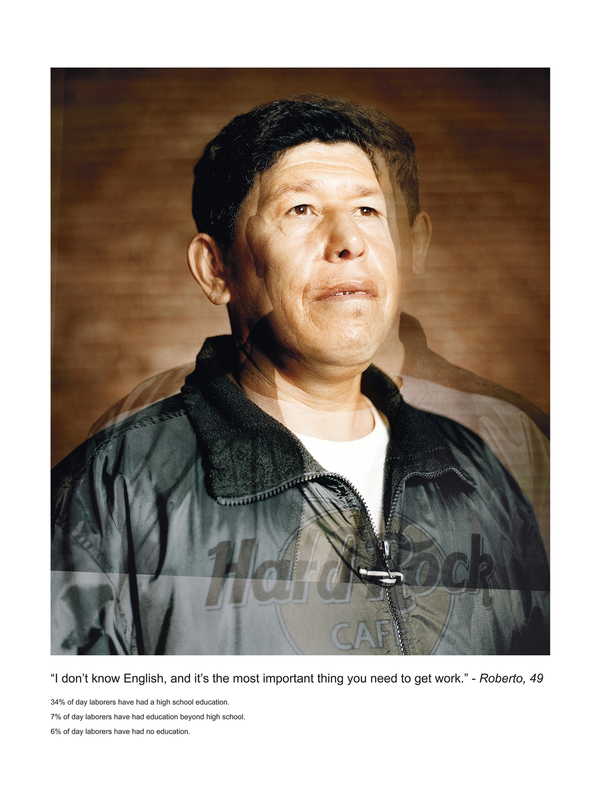 For hours on end they wait by the roadside and in parking lots, often in the hot sun and without any amenities, in the hope of securing a day’s work for a day’s pay. The Self-contained day labor station aims to improve the life quality of those who find themselves on the edge of the American Dream. 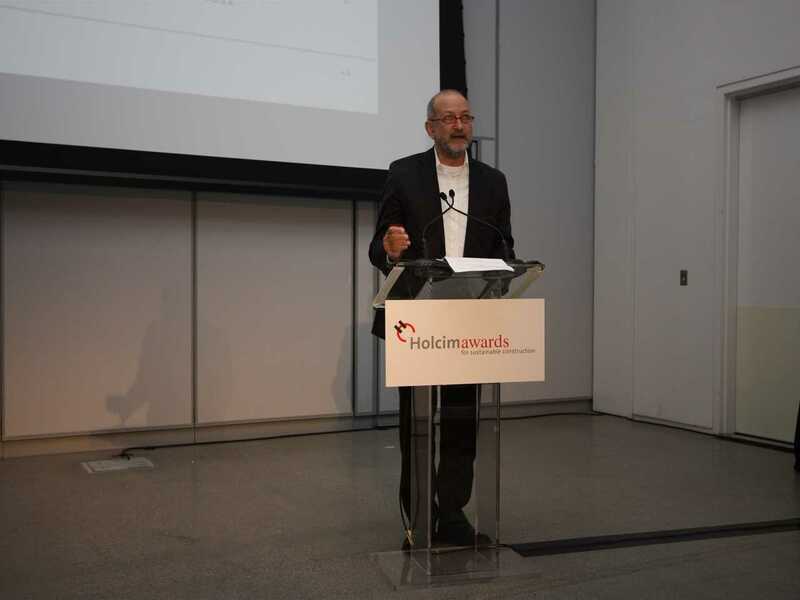 Presentation of the Global Holcim Awards "Innovation" prize 2009: Enrique Norten, Principal and founder, TEN Arquitectos, New York/Mexico City, and Member of the Global Holcim Awards jury 2009 introduced the criteria of the competition – the “target issues” for sustainable construction - and presented the award winning projects of the competition. 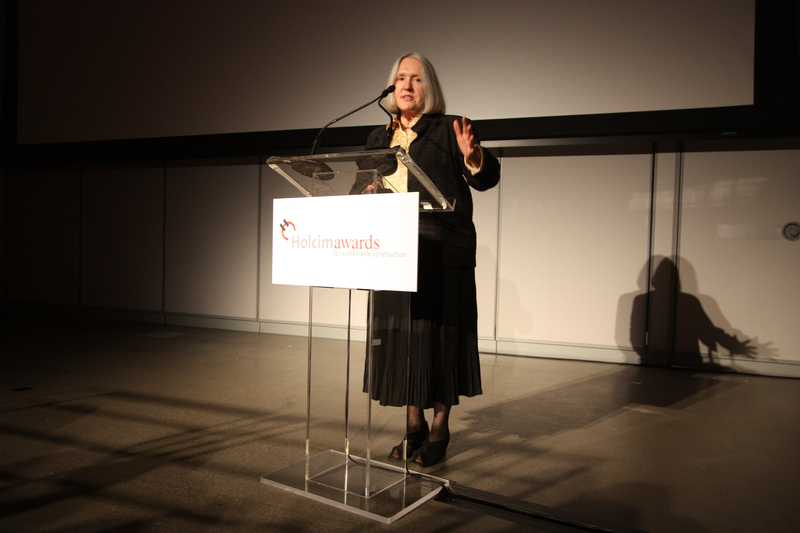 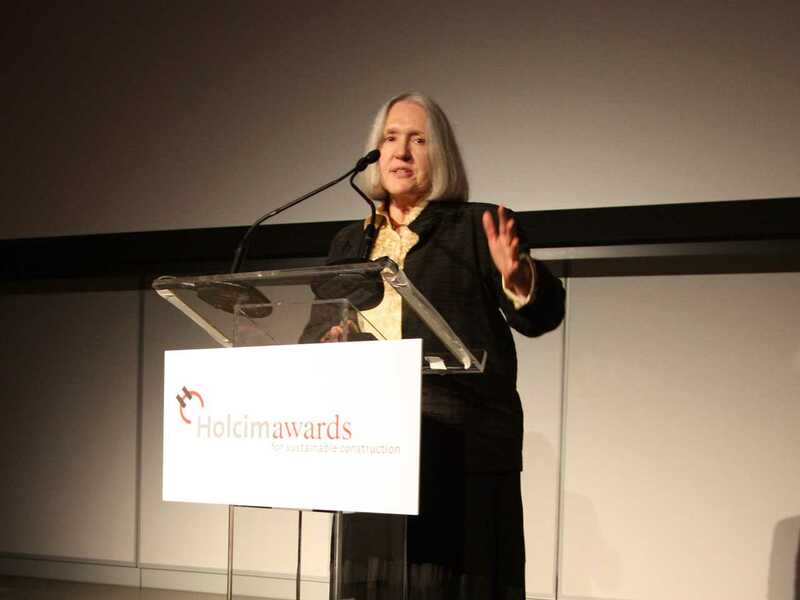 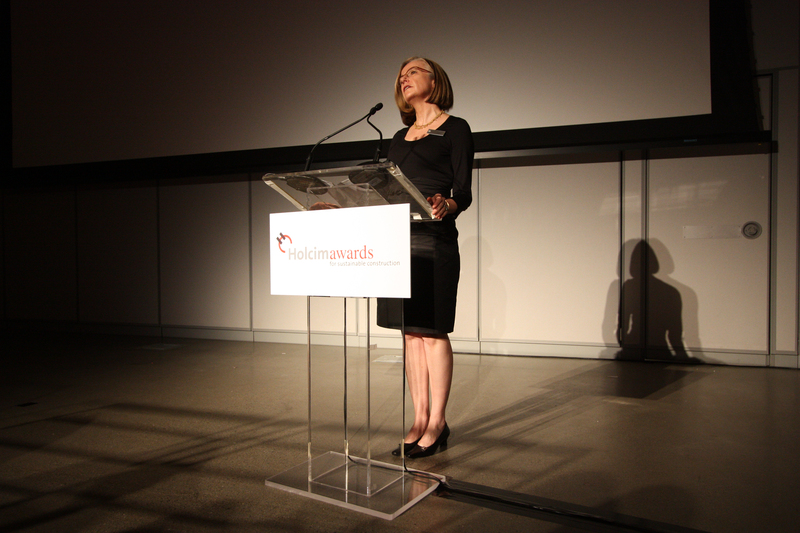 Global Holcim Awards "Innovation" prize 2009: Alison Brown, Chief Finance and Operations Officer of the California Academy of Sciences (CAS), welcomed guests to the global prize hand-over held at the new California Academy of Sciences building in San Francisco. She emphasized the importance receiving the Holcim Awards Silver for North America in 2005 had meant for promoting the project of the new CAS as an exemplary approach to sustainable construction even before the cornerstone had been laid. 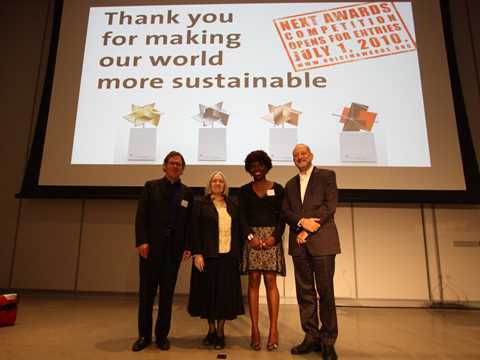 Since then CAS has received a number of further important prizes and recognitions for its contribution to sustainable development. 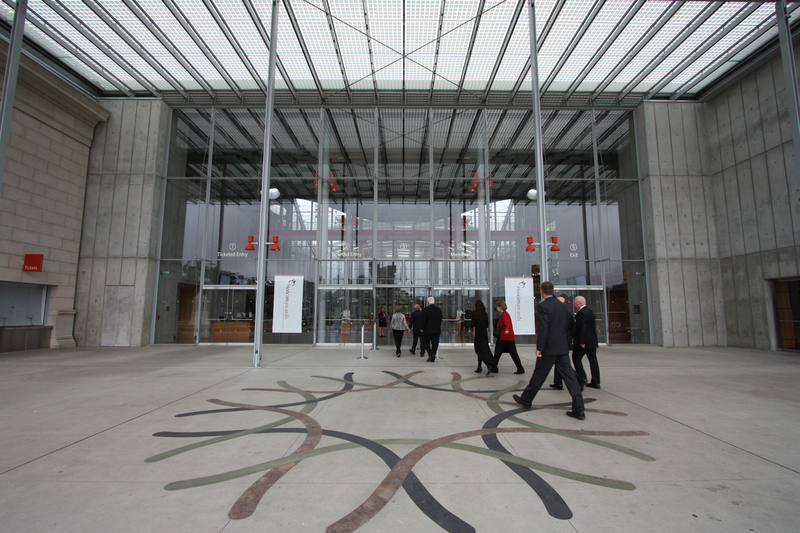 Global Holcim Awards "Innovation" prize 2009: Guests arrive at the new California Academy of Sciences building for the global prize hand-over. The building was itself winner of the Holcim Awards Silver 2005 North America. 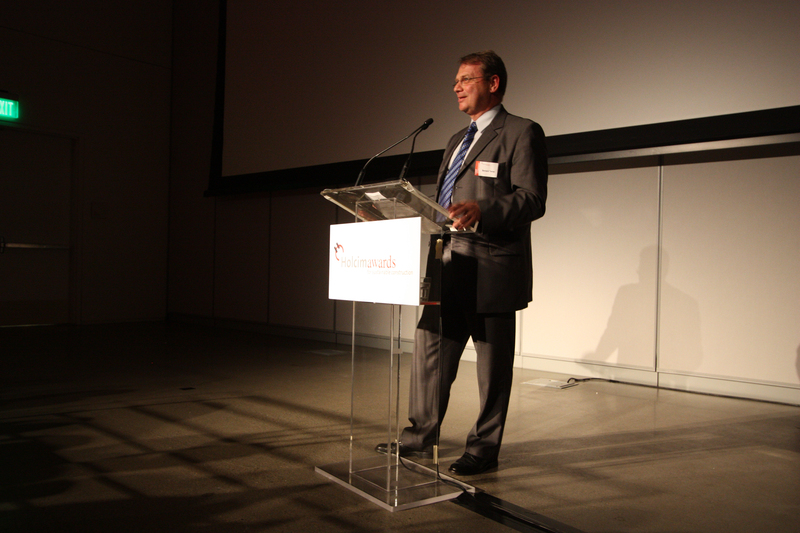 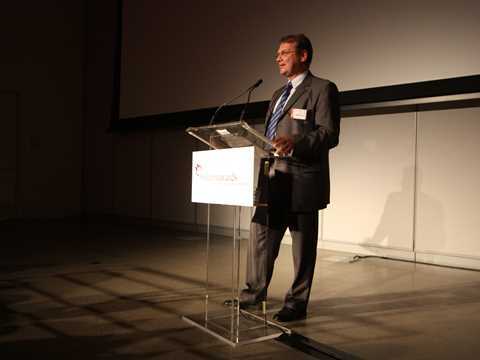 Global Holcim Awards "Innovation" prize 2009: Bernard Terver, President and Chief Executive Officer of Holcim US (representing the North American hosts of the global prize hand-over event: Holcim US, Aggregate Industries and Holcim Canada), provided a closing address. 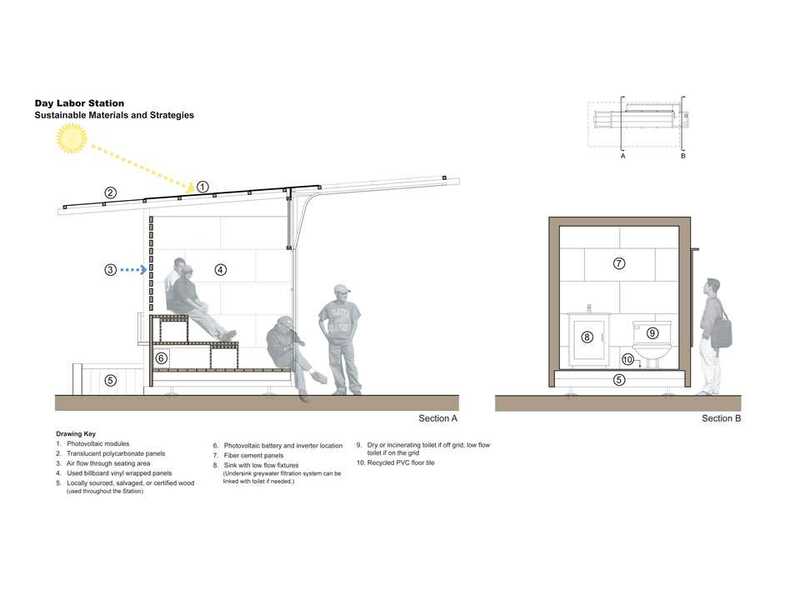 This is a minimal physical urbanistic intervention with maximum social equity and neighborhood enhancement effects. 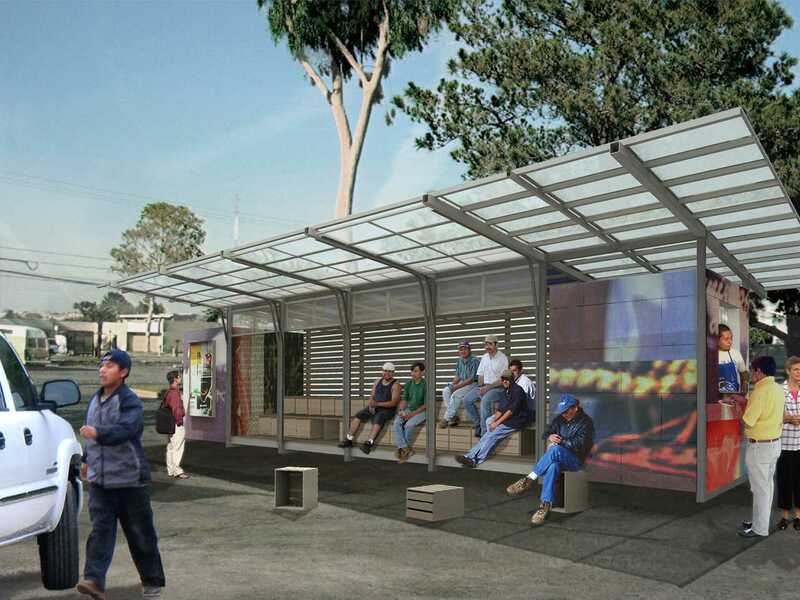 The project is a small structure that functions as a labor market and service delivery platform for day laborers who wait for casual work every morning at customary gathering points. As this picking up of day workers takes place in cities across the United States, and in other countries, it is also a project that is worth replicating. It is low cost, and could be sponsored by the contractors of the day laborers. 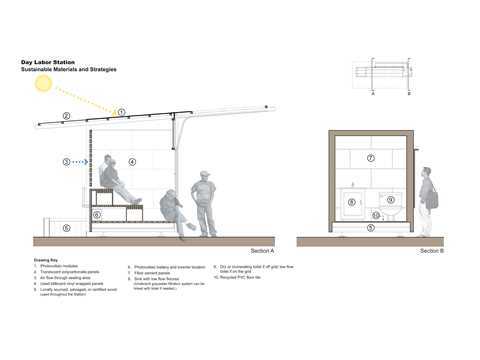 The structure provides rest rooms, kitchen and office space for day workers. 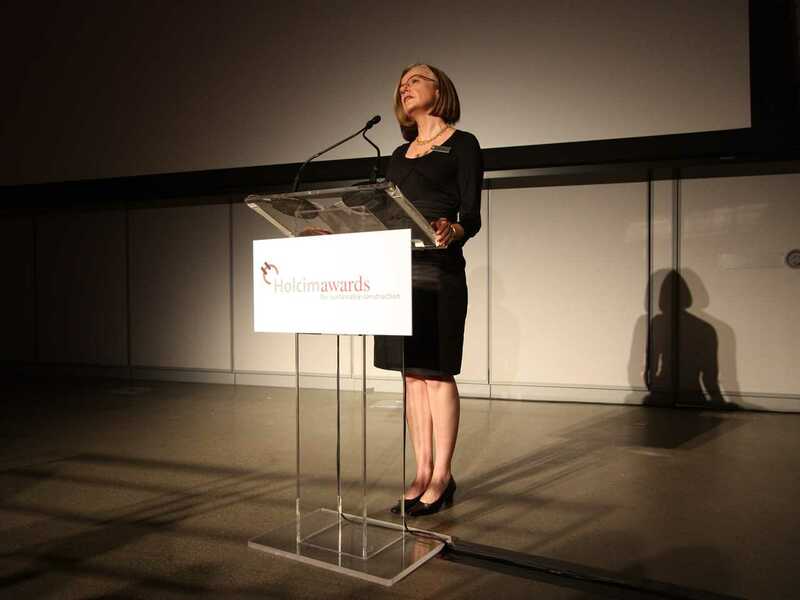 It is a first step in providing healthcare and the building of social networks for workers that are among the most vulnerable, poor and often denigrated. 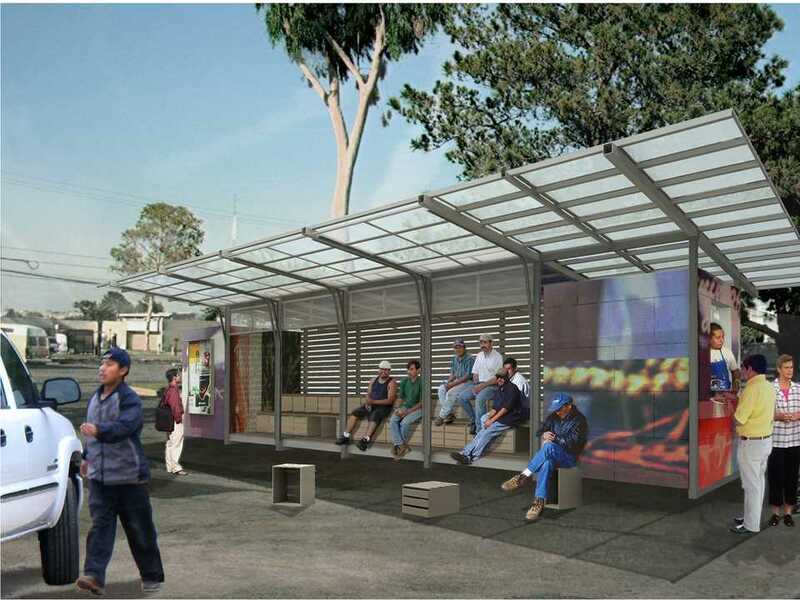 It is also a solution to what the surrounding neighborhoods often experience as social disorder and what local police forces find difficult to handle. 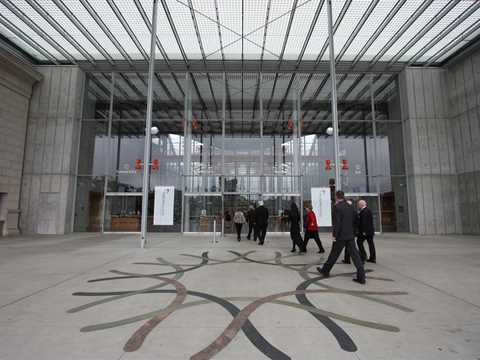 Thus the benefits extend to a larger social context than that of the workers themselves. This larger positive social effect is further enhanced by the addition of community gardens to be maintained by the day workers themselves, particularly on those days when they are not picked up for work. 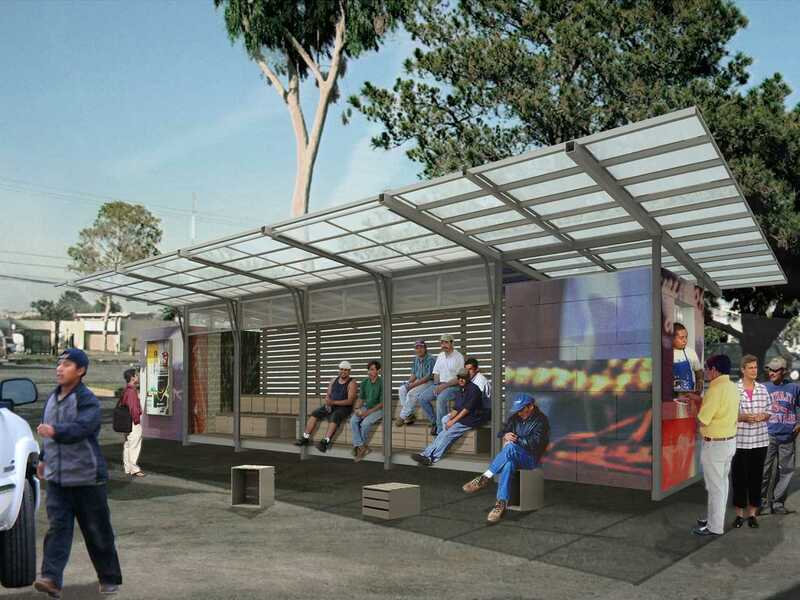 The Global Holcim Awards “Innovation” prize including USD 50,000 went to a project that establishes informal stations where day laborers can meet and wait for casual work. 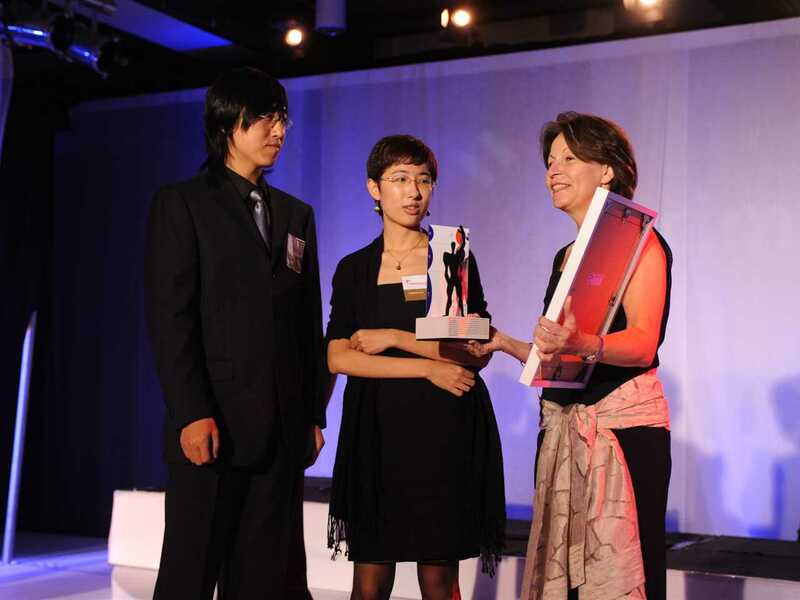 The “Innovation” prize is a global recognition for a project that demonstrates a strong element of creativity or inspiration. 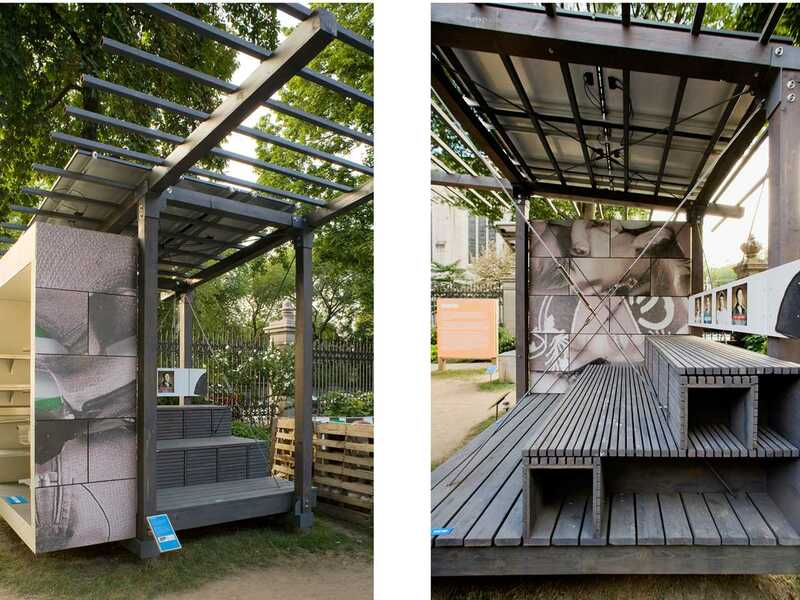 Designed by Liz Ogbu (USA) and John Peterson (USA) of San Francisco-based nonprofit Public Architecture, the flexible structures offer shelter, benches, washrooms, a kitchen and an education/training space – creating a sensitive environment for people who find themselves on the edge of the community and at the same time addressing health and safety needs. Green and recycled materials are used to minimize the environmental footprint and economic cost of each facility. 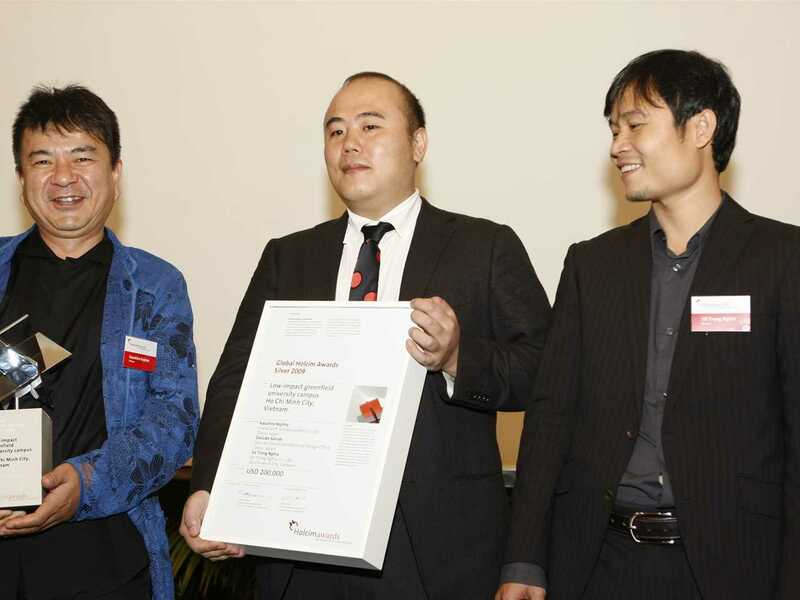 The project won the regional Holcim Awards Silver 2008 North America, and also impressed the global jury mostly for its far-reaching impact on a whole community: “The structure provides a solution to what the surrounding neighborhoods often experience as social disorder and what local police forces find difficult to handle. 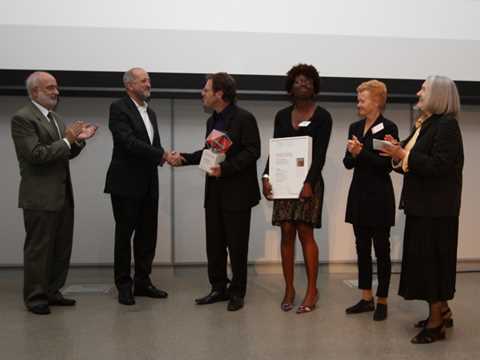 Thus, the benefits extend to a larger social context than that of the workers themselves”, the jury noted. 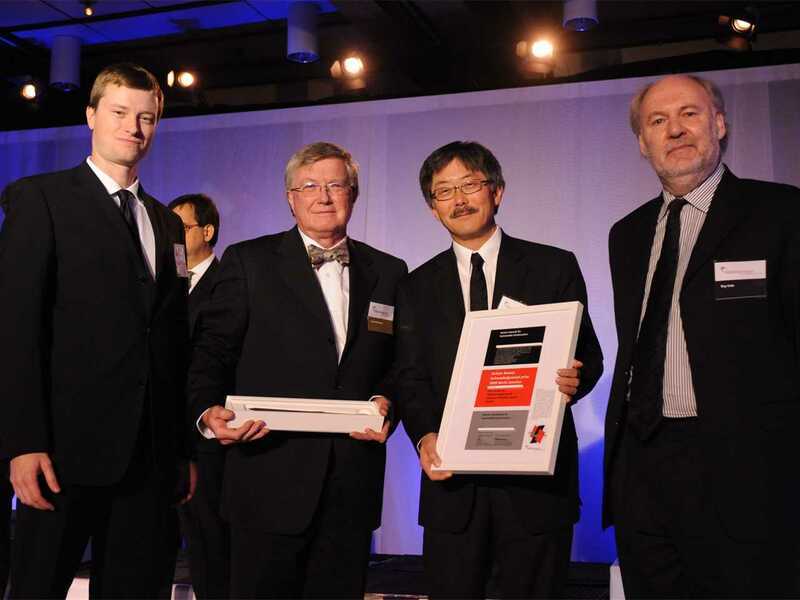 Holcim Awards Gold 2008 North America (foreground, l-r): Rolf Soiron, Chairman of Holcim and of the Advisory Board of the Holcim Foundation; winning team members Nigel Nicholls, Colin Cathcart and Christopher Collins; Adèle Naudé Santos, Head of Regional Holcim Awards Jury and Dean of the MIT School of Architecture and Planning; Benoît-H. Koch, Member of the Executive Committee of Holcim Ltd.
Holcim Awards Bronze 2008 North America presentation (l-r): Philippe Arto, CEO St Lawrence Cement; winners Peter Busby, John Gunn and Jeff Laberge; Adèle Naudé Santos, Head of jury and Dean of Architecture, MIT; Benoît-H. Koch, Executive Committee member Holcim Ltd; and Rolf Soiron, Chairman of Holcim and of the Advisory Board of the Holcim Foundation. 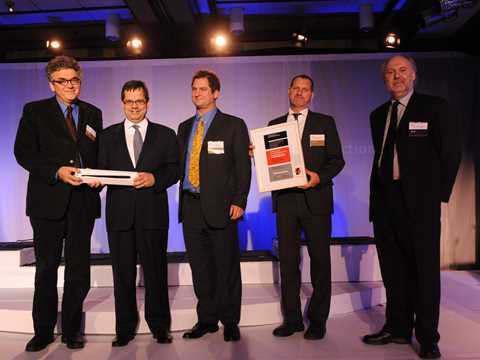 Holcim Awards Acknowledgement prize 2008 North America winners (l-r): Joe Lobko, Charlebois Cameron, David Stonehouse, Robert Pitt, Ray Cole. 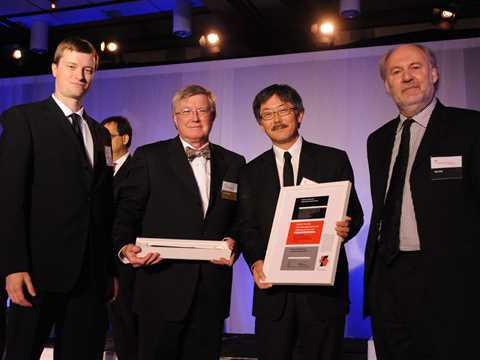 Holcim Awards Acknowledgement prize 2008 North America: (l-r) Craig Duffield, Larry McFarland and Ron Kato with Ray Cole (far right). 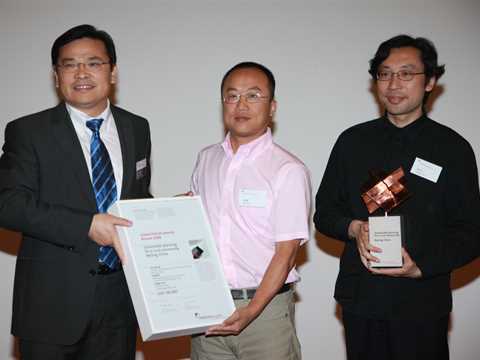 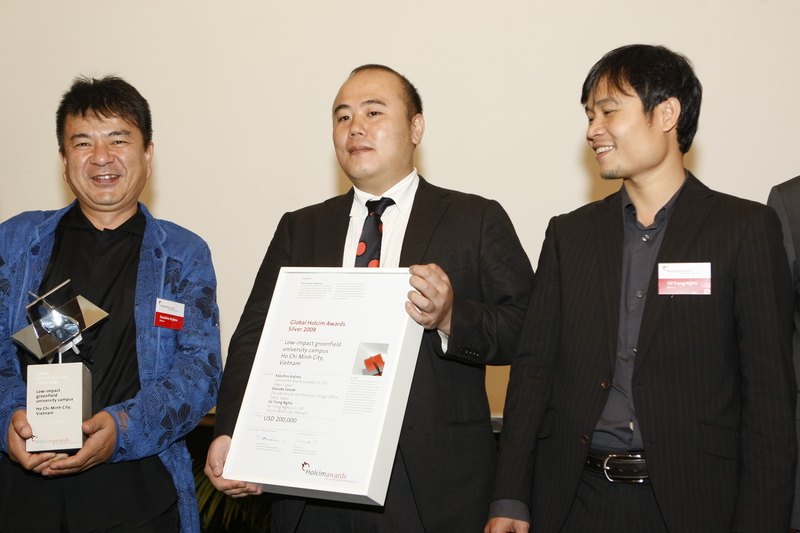 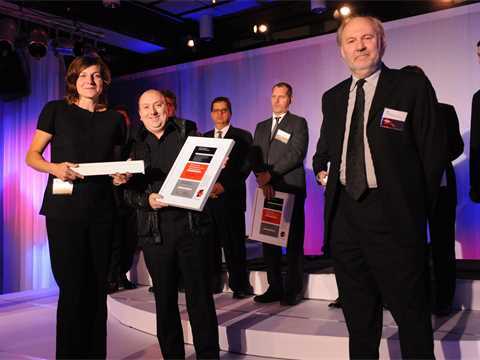 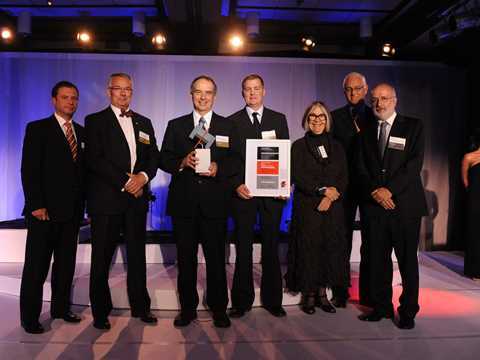 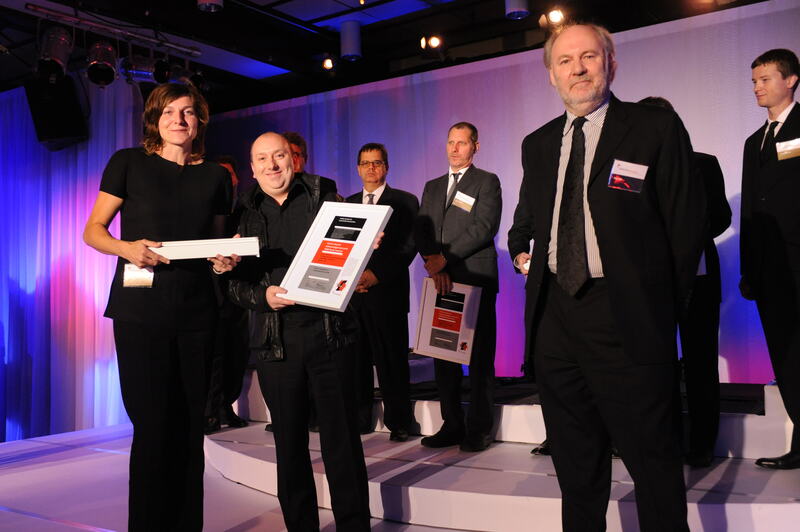 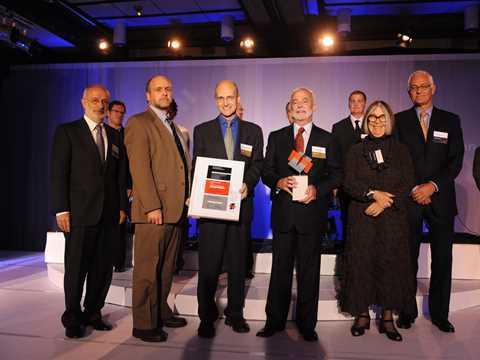 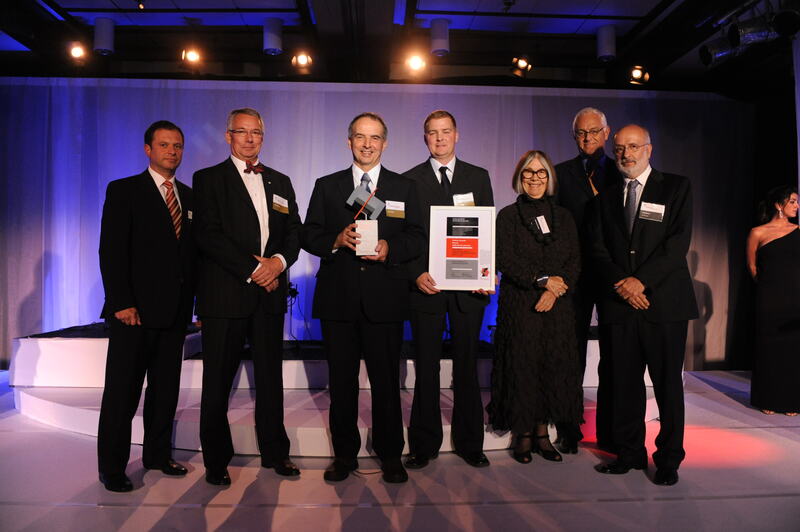 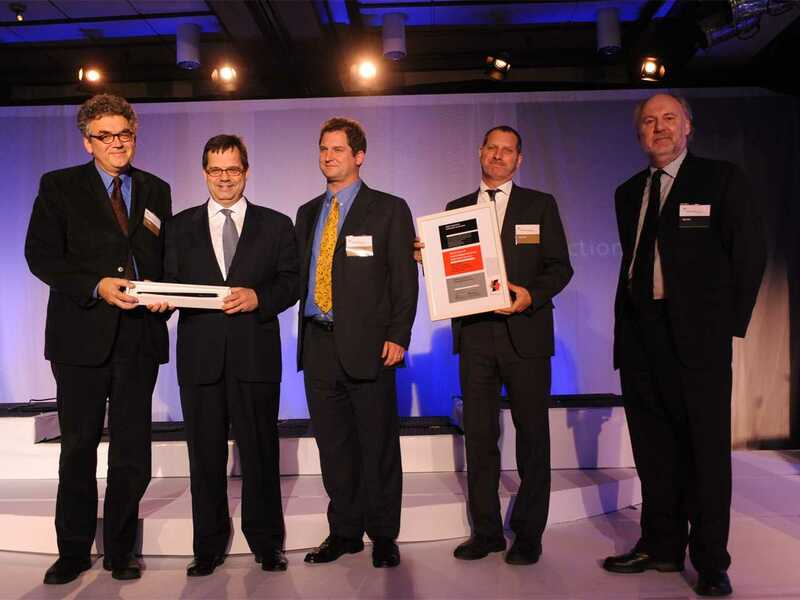 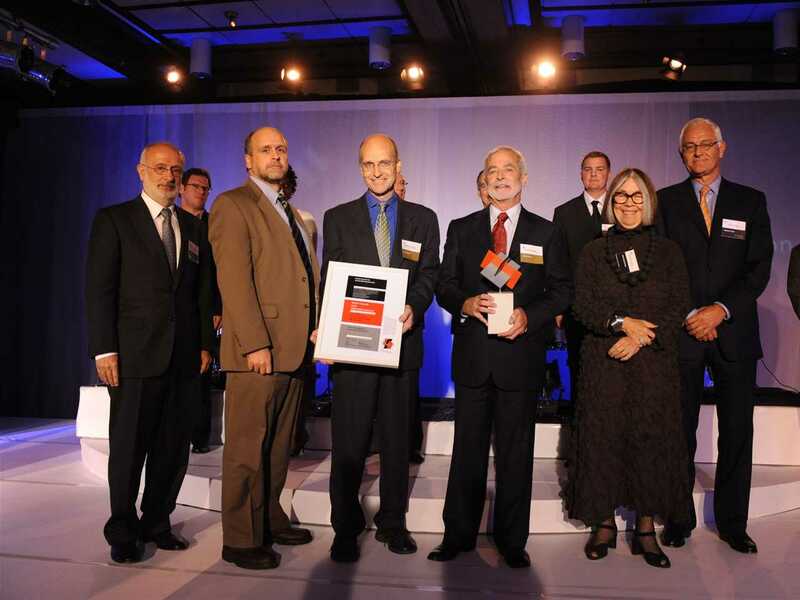 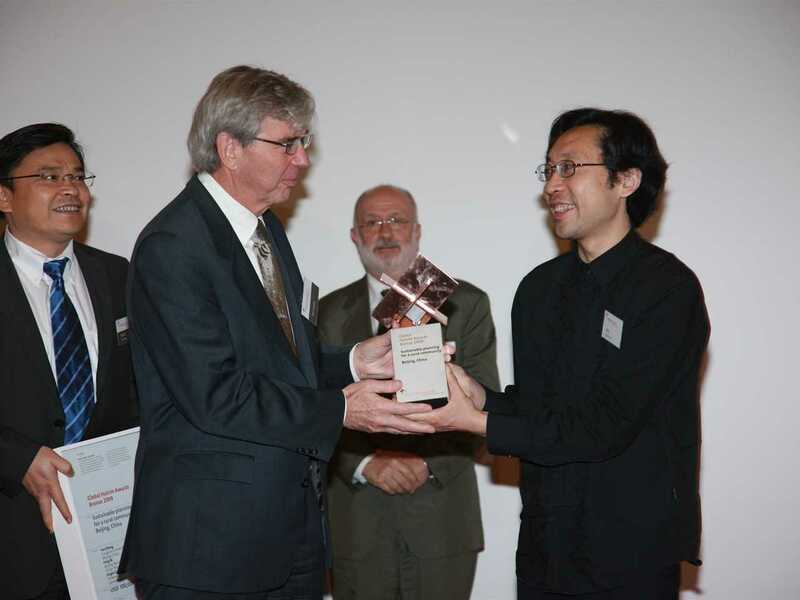 Holcim Awards Acknowledgement prize 2008 North America: (l-r) Erika Mayr, Stéphane Orsolini, and Ray Cole (far right). Holcim Awards "Next Generation" 1st prize 2008 North America: Neri Oxman (right) and John Anastasios Hart. 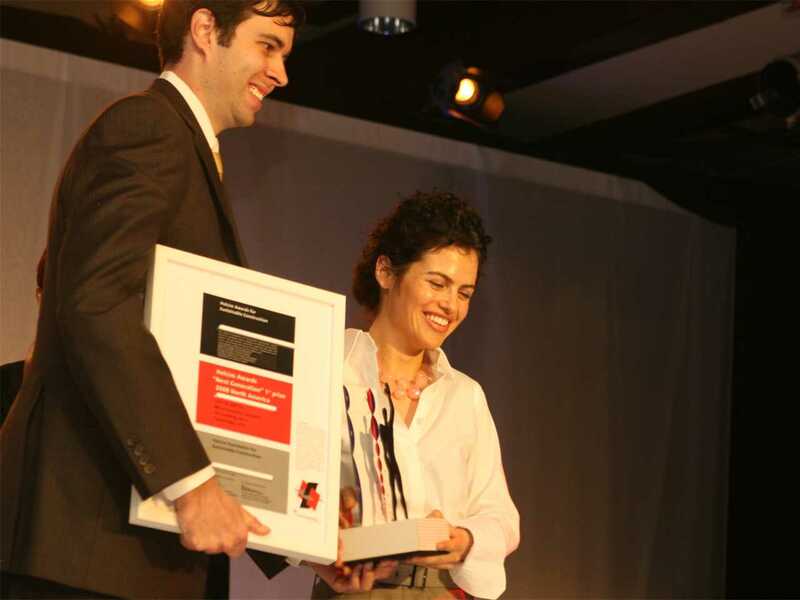 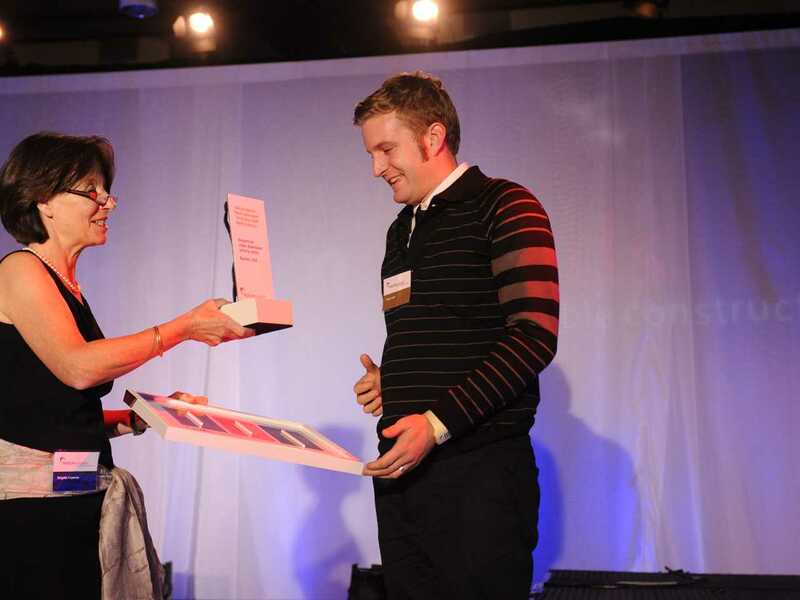 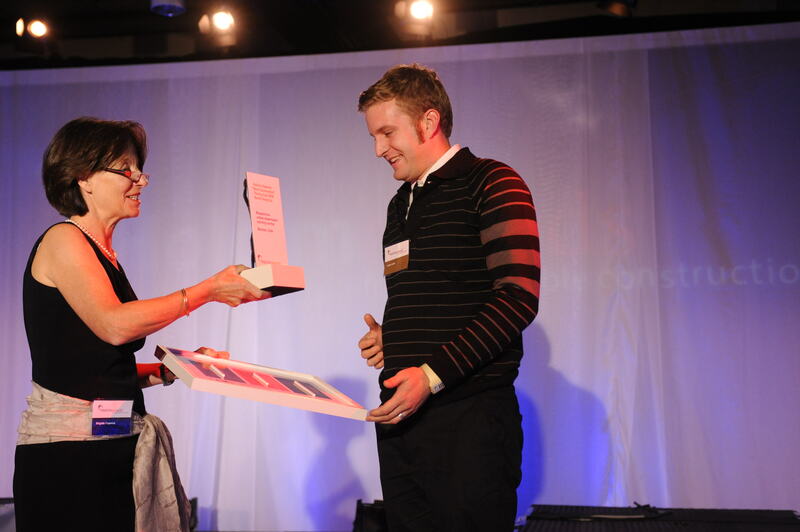 Holcim Awards "Next Generation" 3rd prize 2008 North America: (l-r) Brigitte Cuperus (Technical Competence Center of the Holcim Foundation) and Andrew Edward Lantz. 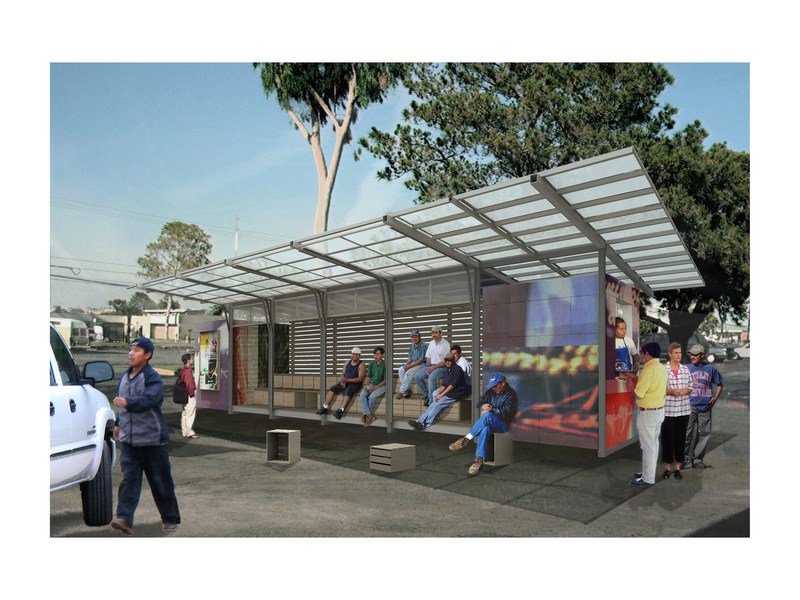 The Holcim Awards Silver 2008 was awarded to a project that establishes informal stations where day laborers can meet and await work. The innovative project is designed by Liz Ogbu of San Francisco-based nonprofit organization Public Architecture. The flexible structures offer shelter, benches, washrooms and a facility to prepare and provide food – creating a sensitive environment for people living on the periphery of society. 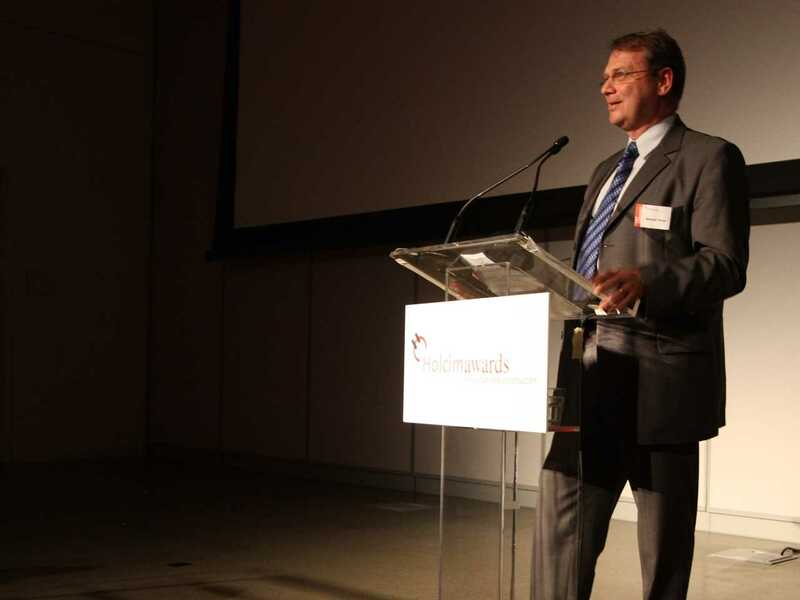 At the same time, the project addresses health and safety needs and contributes to solving a source of community conflict. Green and recycled materials are used to minimize the environmental footprint and economic cost of each facility. Day labor is a challenging social issue in many cities around the globe. Although industry and commerce utilize this informal or casual source of human capital, day labor is itself not organized at all. The project’s uniqueness lies in its simple and convincing approach to this problem. The idea of establishing formal stations where day laborers are allowed to stay and offer their services is unique. The stations – with a shelter, benches, toilets and facilities to buy or even prepare meals – create a sensitive living environment for people who normally live on the periphery of society. 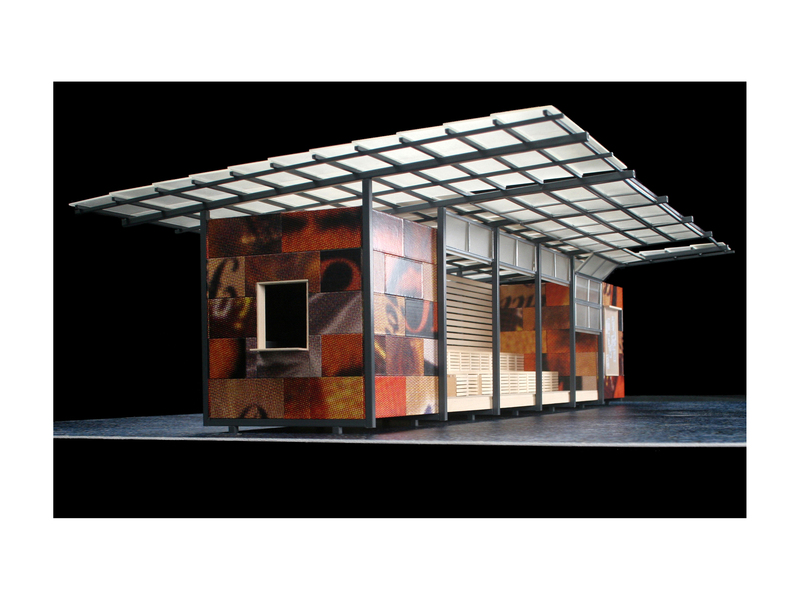 In addition the structure provides a physical location for outreach programs and also supports social cohesion amongst day laborers. From the city’s perspective, day labor stations are a considerable improvement of the quality of life, especially regarding health and security. 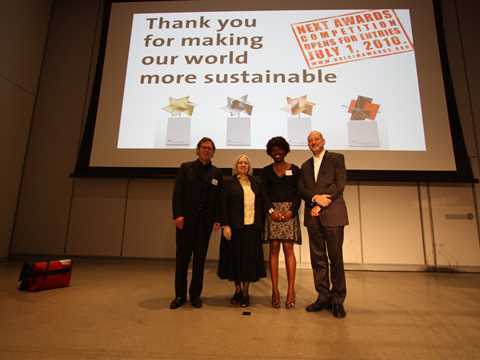 This signiﬁcant and diverse range of beneﬁts can be achieved with little ﬁnancial investment. From the demand side, labor stations facilitate hiring the required workforce and meet legal requirements and wage standards. 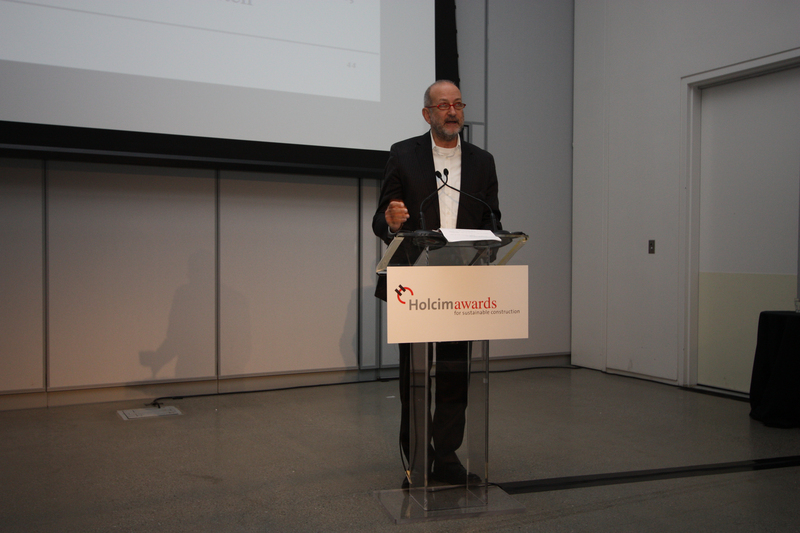 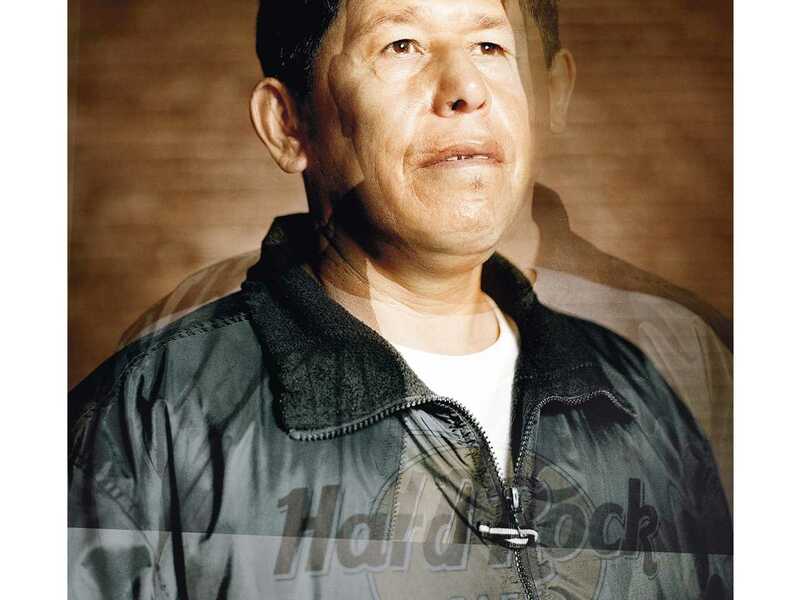 Since day labor is common practice in the construction industry, the project contributes substantially to providing an effective response to the “target issues” ethical standards, social equity and economic performance as deﬁned by the Holcim Foundation. Project entry 2008 North America - "Self-contained day labor station, New York, USA": Components diagram. 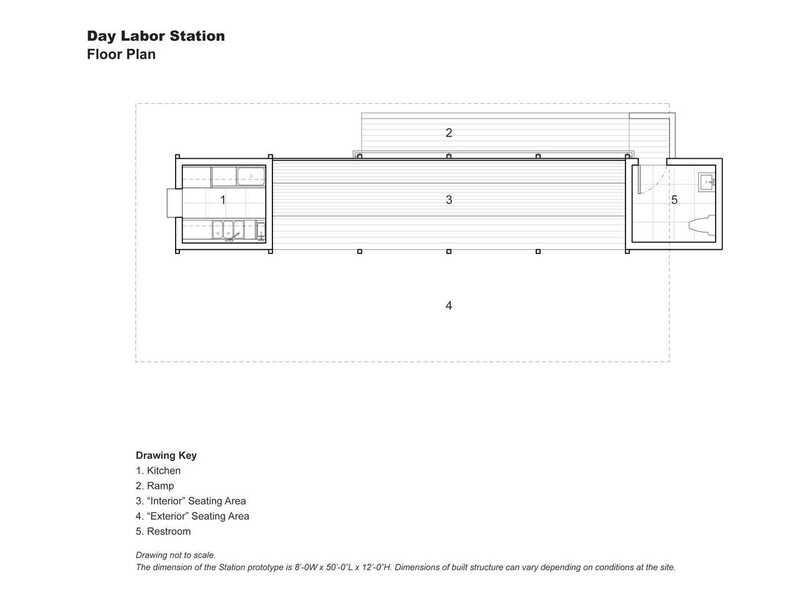 Project entry 2008 North America - "Self-contained day labor station, New York, USA": Plan. Project entry 2008 North America - "Self-contained day labor station, New York, USA": Use diagram. Project entry 2008 North America - "Self-contained day labor station, New York, USA": Sustainability diagram. 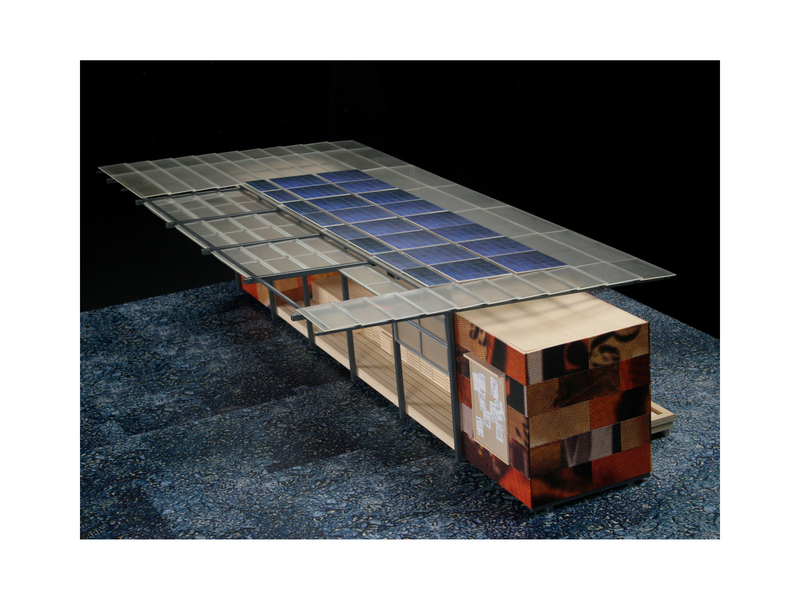 Project entry 2008 North America - "Self-contained day labor station, New York, USA": Model view 1. 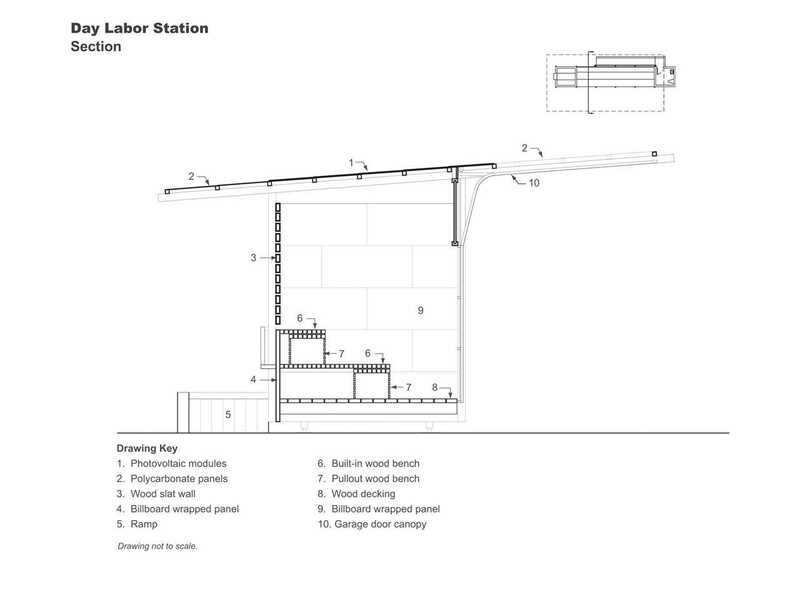 Project entry 2008 North America - "Self-contained day labor station, New York, USA": Model view 2. Project entry 2008 North America - "Self-contained day labor station, New York, USA": Roberto, client. 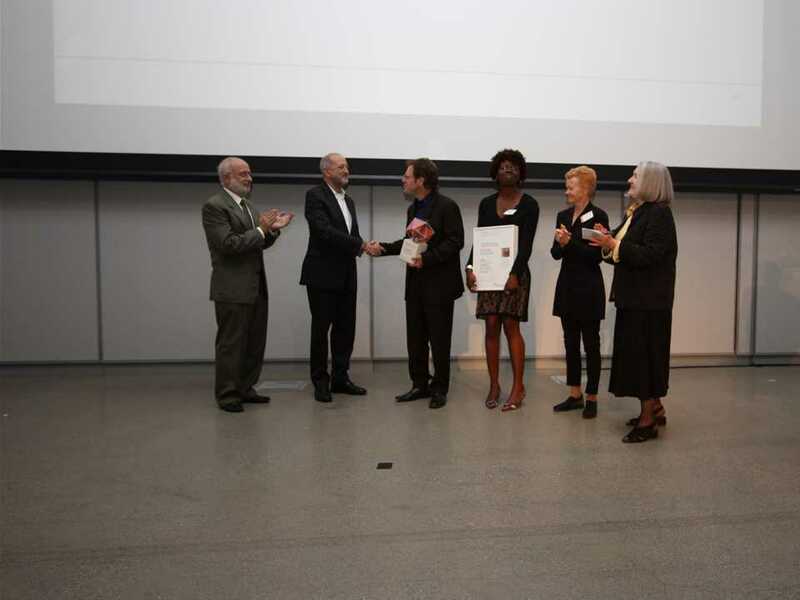 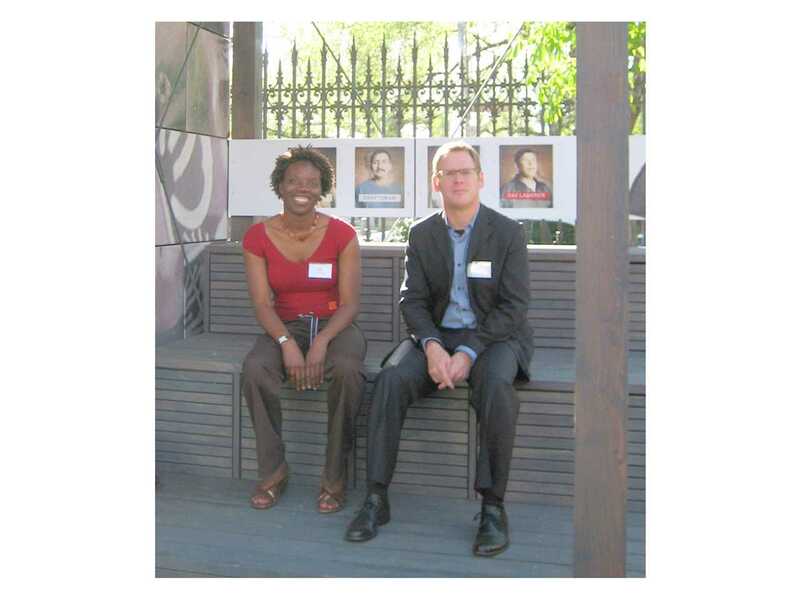 Project entry 2008 North America - "Self-contained day labor station, New York, USA": Winners of the Global Holcim Awards "Innovation" prize and the Holcim Awards Silver 2008 North America: (l-r) Liz Ogbu and John Peterson. 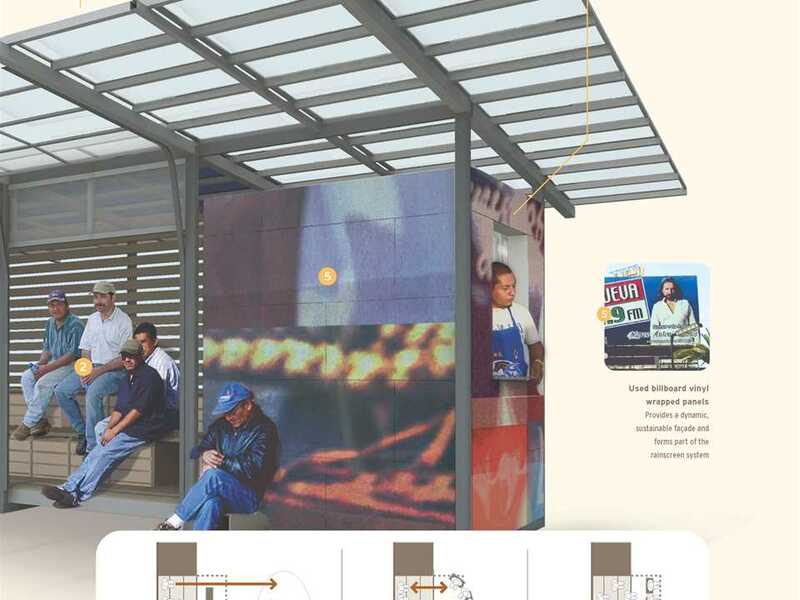 In many US cities day laborers use street corners as informal hiring sites. 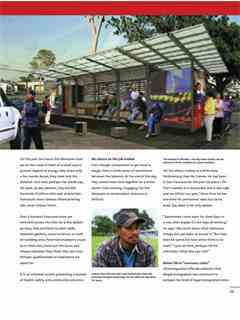 For hours on end they wait by the roadside and in parking lots, often in the hot sun and without any amenities, in the hope of securing a day’s work for a day’s pay. 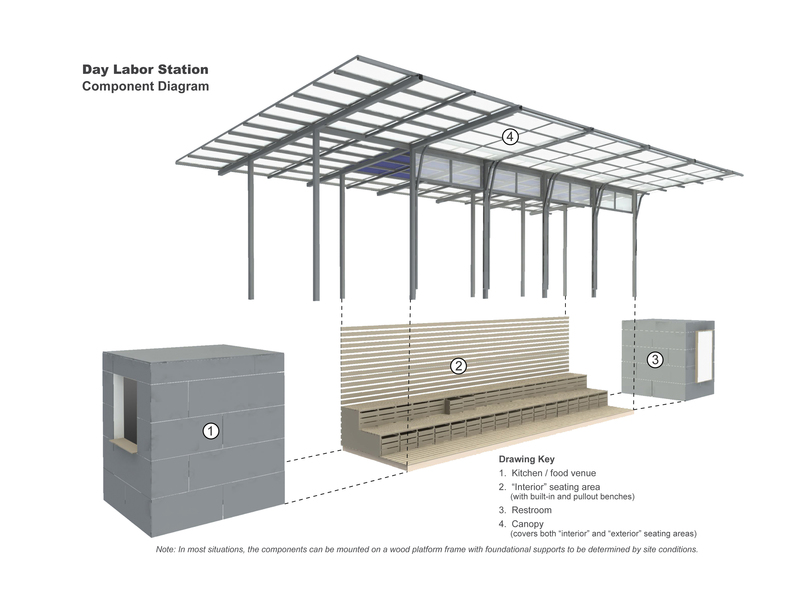 The Self-contained day labor station aims to improve the life quality of those who find themselves on the edge of the American Dream.